"I would continue to recommend that we are not a participant in a civil war in Yemen and remain an honest procurer, if you will, with the ability to contribute to a diplomatic solution in Yemen," Dunford said in an interview with the Washington Post on Thursday. "There is no military solution." Dunford said the United States is not a participant in the civil war in Yemen and is not supporting any one side in the conflict. "My advice has been to support to continually Martin Griffiths," Dunford said, referring to the United Nations Special Envoy for Yemen. Dunford explained that US military operations in Yemen are focused on defeating the Daesh and al-Qaeda terror groups. Meanwhile, the military relations between Washington and Riyadh have not been changed following the murder of Saudi journalist Jamal Khashoggi, Dunford stressed. "Saudi Arabia is no different than any other country in a sense that the military-to-military relationship that we have with a given country is completely informed by our policy," Dunford told the Washington Post in an interview on Thursday. "And so, there’s been no change in our policy with regard to Saudi Arabia that is informed our military-to-military relationship to date." Dunford added that if the US policy toward Saudi Arabia changes, then military-to-military relationship will change as well. However, he stressed that historically the relationship has been strong. American lawmakers have urged to end US weapons sales to Saudi Arabia after the journalist’s killing at the Saudi Consulate in Turkey. "I think it’s fair to say that Saudi Arabia would be less capable without access to US technology and capability," Dunford commented. "I will not weigh in on whether or not we are going to do that because the military dimension in this case is but one of the considerations our nation is going to have to make when determining whether or not to continue to sell weapons to Saudi Arabia," he noted. "Most of the considerations are very important but they are not military considerations." President Donald Trump has said he will not stop arms sales to Saudi Arabia in response to the Washington Post columnist’s murder. Trump said such action would hurt the United States and give away large defense contracts to other countries, such as China and Russia. 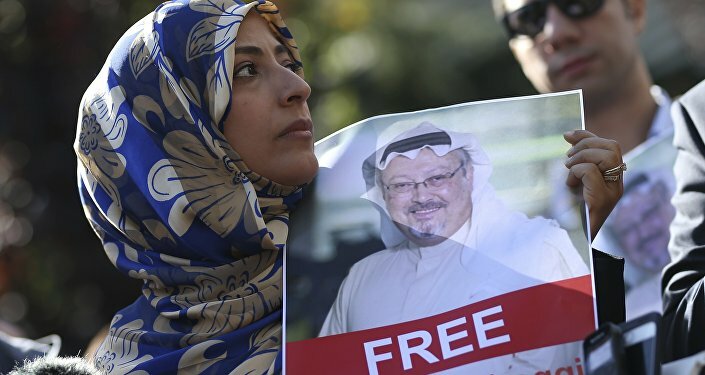 Khashoggi went missing after entering the Saudi Consulate in Istanbul on October 2. After weeks of denials, the Saudi chief prosecutor admitted that the US-based columnist had been killed inside the diplomatic mission.